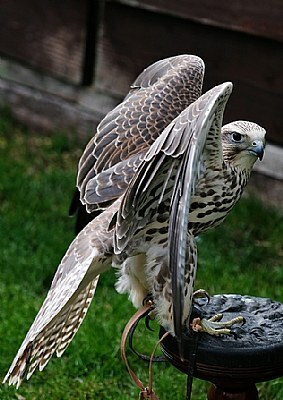 About Saker falcon restless on it's static perch. Threw quite a few poses during Sunday afternoon. Thank you admin for the award, I am truly grateful. Best wishes all. Many thanks Salvador, all the best. Thank you again Shirley, it was another fruitful photographic expedition. This time I didn't get to the flight field as I was a bit unsteady on my disobedient joints. Gorgeous capture with the wings out!